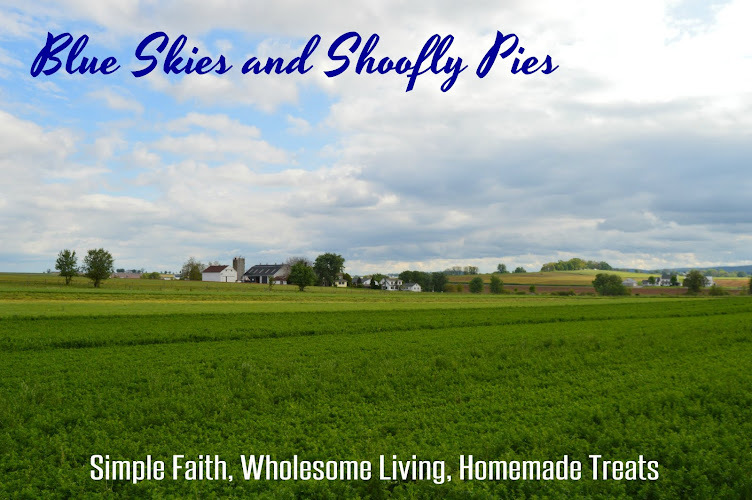 Living in a Mennonite community off the beaten path has its blessings. There's less fish bowl, more intimacy, and fewer pressures to follow the trends that sweep through churches like a swift but silent wind that could tear off a roof. There are also inconveniences. We are the furthest branches of the grapevine, so news from afar comes late. Some of us long for home comforts or cooking ingredients you can only find (at the best price!) in a particular Amish bulk food store two hours away. It's a balance that at is freeing at its best, and on the worst days, lonely. At the end of the summer, our church hosts an annual community day, a bonanza of hospitality we sponsor to show love to the neighbors. Come out and meet us! Have fun! We'll feed you for free! For a small fellowship, this takes a lot of energy and teamwork. Almost too much. Especially if it's a 95 degree day and the bouncy house, positioned in full sun, is filled with squabbling kids who have been abandoned by their grandparents who have sought the comforts of air conditioning in the church building. Seeking refuge in the church is usually done under the guise of being overly interested in the bake sale. I'm not pointing fingers. I saw everyone because I was in there trying to cool off, too. I really enjoy baking for the bake sale. Even though I'm asked to bake the same mini-banana bread loaves, and two types of cookies every year, I never mind a day of baking. It makes me feel good to see tables full of homemade treats priced so low that anyone could indulge in our deliciousness. At the end, we give it away for free. I'm not overly optimistic about outreach. I've met the curiosity seekers, the check-list churchers who want some of the stuff we have, but no, not that, and then some stuff I've never heard of. We've met the families who agree with our beliefs but find our demographics all wrong or simply live too far away. I have met the people who come to be nourished by our kindness and our wholesome food but miss out on the "good part" that Jesus described to Martha. At the end of the long, hot day we have broken bread with those who are passing through and extended a hand in love. It's what any of us are called to do on any given day. To show unmerited love, kindness, and peace to those we interact with in our daily lives. Aren't we rich that we have so much to give? There are still some ears of corn floating around market stands, but when the weather turns cooler I look forward to some warm baked corn. 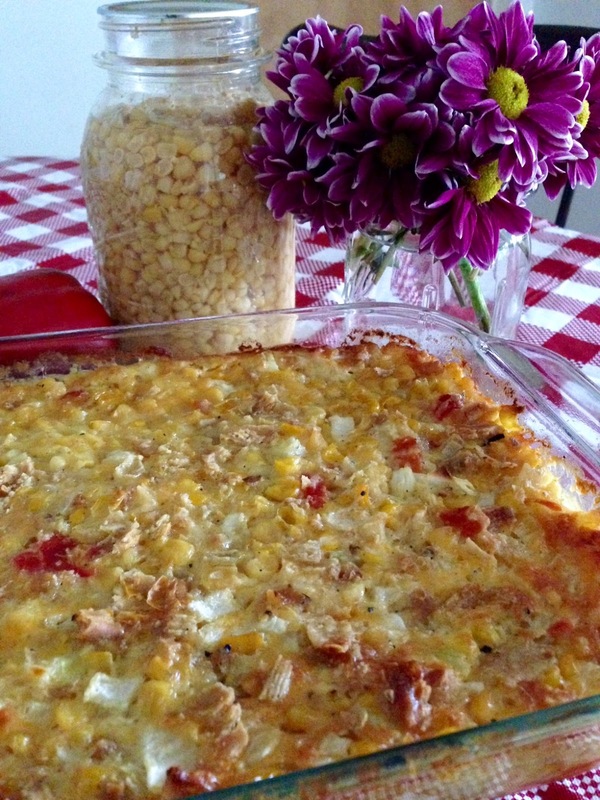 Baked corn is an old favorite around here, and never lasts long. It's a warm and filling side dish. 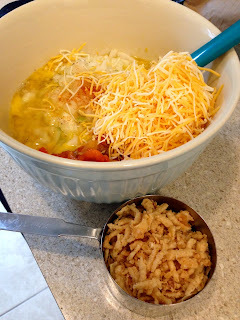 This recipe came to me years ago in a slightly different form, from an Amish lady. If you want to duplicate Esther's Baked Corn, simply add a small jar of chopped pimentos. I never have pimentos and can never remember to put them on my list. I often use half of a green pepper and half of a red, for color and taste. In this instance, I used some roasted red peppers for a little seasonal taste. Mix well and pour all ingredients into a 2 quart casserole dish. Bake at 350 for one hour. I haven't had Baked Corn in decades but that was our favorite way of making corn for a number of years. 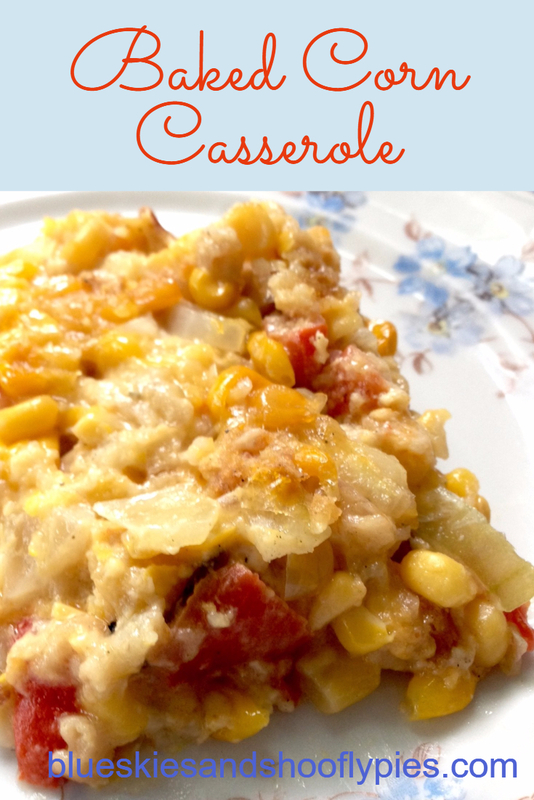 It's my favorite for winter and to bring as a side to family gatherings. If I lived in your community, I would have been there - hopefully for more than the food- I have always loved working with Mennonites. I love to support where I can and I never say no to a community meal!